Harriet Krijgh was born in the Netherlands in 1991. She received her first cello lessons at the age of five. In 2000 she was admitted to the class of young talents at the Utrecht School of Arts, where she was taught by Lenian Benjamins. 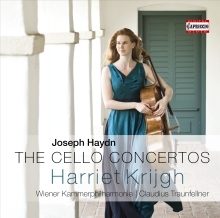 In 2004 Harriet moved the centre of her life to Austria to study cello performance with Lilia Schulz-Bayrova and Jontscho Bayrov at the Konservatorium Wien University. Between 2008 and 2010 Harriet participated in several competitions. 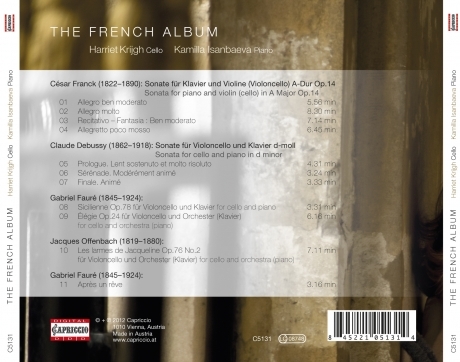 Among others, she received a first prize and the audience award at the Dutch Prinses Christina Concours, a first prize with excellence at the Austrian national competition Prima la Musica, a first prize and the Nicole Janigro Prize at the international Antonio Janigro Cello Competition in Croatia, as well as a first prize at the Fidelio competition in Vienna. As soloist artist Harriet is a member of the Live Music Now Foundation, which was established by Yehudi Menuhin.